The PelaStar tension leg platform (TLP) technology enables a scalable, integrated blade tip-to-seabed solution that minimizes the cost of energy in deepwater offshore wind sites. It is the leading TLP solution in a new generation of deepwater wind turbine foundations. PelaStar, LLC is commercializing this floating foundation technology and will deliver an engineering-led, execution-driven, long life-cycle product to the industrial offshore wind market. Our Vision is a low-carbon future where offshore wind is a major contributor to the world’s affordable, secure, and clean energy mix. 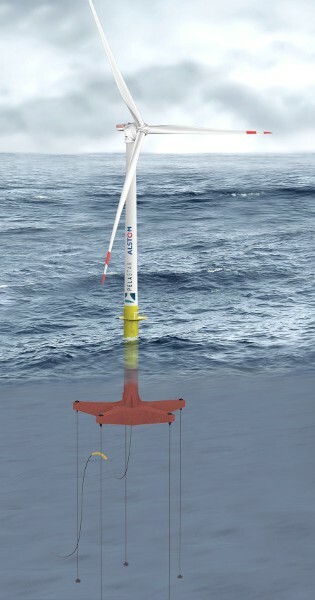 Deep-water floating wind enables this vision by opening the vast wind-energy resources found in water depths greater than 60 meters. Our Mission is to enable radical cost of energy reductions in offshore wind by providing best-in-class technology and by delivering integrated foundation components. PelaStar will deliver a fully-integrated, engineered and certificated design package, along with the foundation components and hardware delivered straight from our industrial manufacturing partners to the assembly quay. Our Team. PelaStar team is driven by the opportunity to play a key role in achieving transformative change on a world-wide scale. PelaStar's strength is derived from the Glosten engineering powerhouse and by strong partnerships with industrial manufacturers and offshore contractors. With this partners we are capable of world-class project execution.